The Center for Autophagy Research at the University of Texas Southwestern (UTSW) Medical Center is a newly created Center designed to foster a collaborative interdisciplinary environment for promoting cutting-edge research in the field of autophagy. The Center is seeking new faculty members at the Assistant Professor, Associate ProfessororProfessor level. Faculty will be expected to develop state-of-the-art, innovative independent research programs related to the biochemistry, structural biology, cell biology, genetics, pharmacology, developmental biology or physiological/pathophysiological roles of autophagy. Excellent opportunities exist for collaborations with faculty members in basic science and clinical Departments at UTSW. 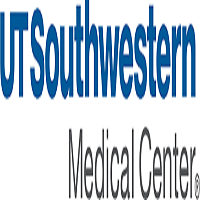 UTSW is an outstanding scientific environment with established strengths in structural biology, biochemistry, cell biology, microbiology, molecular biology, genetics, and numerous other areas. The positions offer attractive start-up packages and laboratory space. Candidates should have an M.D. and/or a Ph.D. degree with at least 3-4 years of postdoctoral experience and an outstanding publication record. Academic rank will be awarded commensurate with experience.